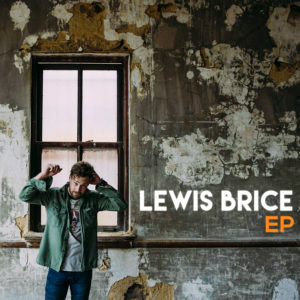 Lewis Brice – EP Reviewed: The wait is over for Lewis Brice’s fans with this six song set. Lewis Brice has been out on the road playing shows for eight years now. In that time he’s built a large following and gained some real notoriety for his live show. It’s taken a while to release studio music but now he has the backing of William Morris Endeavours Lewis, the younger brother of country music star Lee Brice, he’s giving fans their first taste of his studio work through a six song self-titled EP. Next up is ‘Rob You Blind’. This song kicks off with a much bigger Southern Rock sound with a countrified banjo. When you read about Lewis’ high octane live shows this song feels like the kind that would open a show with an absolute bang. The song is about seeing a woman coming who is nothing but bad news and Lewis really gruffs up his vocal on this number to match the loud power chords and distorted guitars. It’s a real 180 turn from the opening track. ‘Messin’ With My Mind’ takes things down a notch and is the first ballad on the record. Like the opening song it’s a tune written from the perspective of the back side of a relationship where the ex is messing with his feelings and keeps coming back for more. Lewis really manages to convey the desperation in his voice as he begs ‘stop messing with my mind’. Track four is ‘Outta My Head’ which is a more modern country radio-friendly number. It’s got a big chorus and is definitely an early favourite of mine from the record. It’s all about a woman sending him out of his mind because she looks so good and how she’s completely changed him. It’s definitely one that we should see as a single as it really is catchy as Hell! The penultimate track ‘Still With You’ is an ode to a woman again as Lewis sings ‘baby the best thing I ever did was taking your hand’. The song is rocky but has all of that heartfelt country feeling behind it. 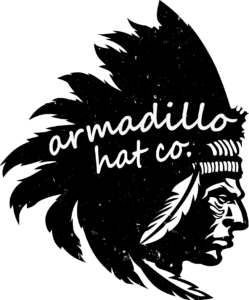 It’s another super catchy tune that has a chorus that’ll get the crowds singing along. The guitars just drive the whole thing along and really help the song soar. Impressive stuff. The album ends with a tune co-written with Lewis’ brother and the EP’s executive producer Lee Brice in ‘Alabama’. The song has a big intro with gospel singers over some big power chords. Lewis’ voice has a real rocky edge that sounds like it’s been soaked in whiskey for years. This is a brilliant country rock song that would fit on Eric Church’s ‘The Outsiders’ album and will surely translate brilliantly live. It also has an amazing guitar solo that could have been taken from an 80’s rock song. This is a really strong debut effort from Lewis Brice and shows off the kind of potential that he has. It’s worth adding that Lewis has co-written every song on the album and his skill as a writer is really on show here. The mix of styles and influences on the record makes it a very interesting listen and, even in six songs, we hear country, Southern Rock, pop and 80’s/90’s rock. The opening couple of tracks don’t really stand out to me too much but, mark my words, as the EP goes on it feels like it goes from strength to strength with every song. This is definitely a collection of songs that shows Lewis Brice is here to stay and, despite his brother’s success, is most certainly his own man. Check out our interview with Lewis Brice here. Cam: The songwriter talks about her first UK shows, safety at gigs and traveling the world. Gettin’ to Know… Lewis Brice: The songwriter talks about his debut EP, being more than just Lee’s brother, his charity work with Lewispalooza and more.